With All Due Respect, Why Change SAYERR JOBE…? I am bewildered with the reasoning behind the Gambia government changing the name of one of the country’s most historical highway, SAYERR JOBE to Mayor Yankuba Colley Highway. With all due respect to Yankuba Colley, a man I knew very well indeed, but what has he done for the country and indeed for the municipality of KMC, apart from serving a dictatorial regime of Yahya Jammeh. As we speak, the KMC municipality does hardly collect any rubbish from people’s homes and yet people pay in full there council rates, the markets in KMC are in dare conditions, there is a constant electricity blackout and yet Gambia’s electricity tariffs are among the highest in the world. The reason behind the name changed, according to Bala Gaba Jahumpa, Minister for Transport, Works and Infrastructure, because Yankuba Colley has been very consistent and loyal to the July 22nd Revolution, the president and the APRC party. Isatou Njie Saidy also added that because of Mayor Colley’s indefatigable stewardship to the APRC and the July 22 revolution they have decided to rename the highway. Honestly? I would have been writing a different article had they said, because Yankuba has been very loyal to the Gambia and her people, that KMC collects rubbish from people’s home on a weekly basis or there is a constant flow of electricity in the municipality. Why can’t the government see beyond politics when deciding an important issue like this and consult with the people of the country especially the community that it affects. Changing the name of this highway with such historical significance without the will of the people is tantamount to authoritarian and blatant disregard to the people’s will. Barely a week ago dictator Jammeh was extending his bogus amnesty to the so called people who offended him, but forgetting his nasty and distasteful attitude of I don’t care about anybody. 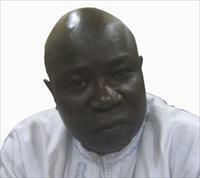 Why do anybody need to listen to what Jammeh has to say when he is not serious about what he himself say? If he had meant his amnesty, he would have consulted the people of Serrekunda before unilaterally deciding to change the name of this historic highway from SAYERR JOBE to Yankuba Colley Highway.